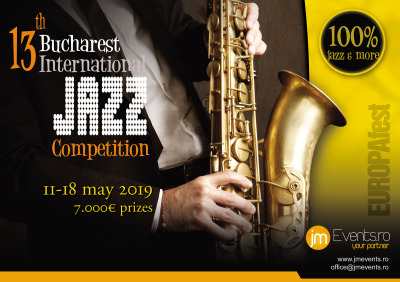 Bucharest International Jazz Competition is one of the most appreciated jazz events, by specialists and the public, the event being ranked among the first 3 european jazz competitions. Over the years, the competition has proved to be a promoter for jazz musicians and bands, not only in Eastern Europe but all over the world. Its mission is to contribute to the acknowledgment of jazz values and to celebrate creativity and freedom of expression in music. From the USA to Europe and Asia, the best jazz artists of the new generation come to Bucharest to perform in amazing concerts. 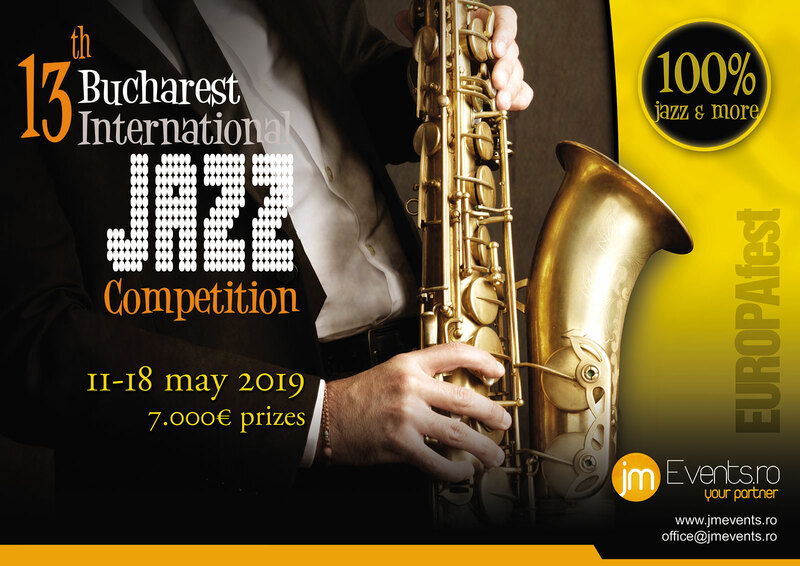 Between 11 – 18 of May 2019, Bucharest International Jazz Competition celebrates its 13th edition. The competition, organized by jmEvents, takes place during the International Festival EUROPAfest 2019. The competition promises to bring unforgettable meetings, thrilled audience, atmosphere, by combining concerts with jam sessions, workshops and jazz master-classes. In 2017, 22 bands with musicians from 20 countries and 2018, 17 bands from 12 countries, have participated, encouraging meetings and interactions between artists coming from different jazz centres. Bucharest International Jazz Competition is truly an explosion of color and energy. Everything happens in the blink of a moment, with talent, inspiration and improvisation. During the years it gained the reputation of the most powerful competition in the region, presenting well defined projects, with vision, with novel themes, from the greatest jazz centers in the world. The winner is chosen by a jury composed of artists and teachers, personalities of the international jazz world. The application period is open until the 10th of February 2019. The total value of the prizes is 7.000 Euro. The interested artists can find the conditions for application on website of the organizers jmEvents and on the facebook page.